Catherine Margaret Lambert (nee Read) was born on November 25th 1918. 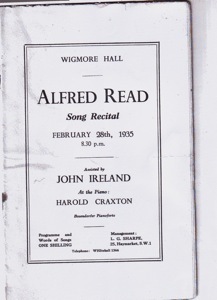 Her father, Alfred Read, was an Army Captain in WW1, and afterwards had two careers, one in business affairs and the other as an amateur singer with a fine baritone voice. Her mother Kitty had trained at the Royal Academy of Music in piano and the violin, and was an expert accompanist to her husband. Catherine is nine years old. 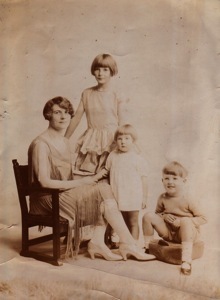 She is standing on a stool behind her mother and brother and sister. She has just been placed first, with a silver medal, in a class for verse speaking in The Croydon Music Festival. 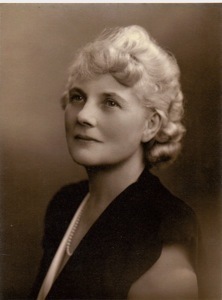 Her adjudicator was Elsie Fogerty, the founder and Principal of The Central School of Speech Training and Dramatic Art. Catherine would meet her again in 1937 when she went to the school to train to be a Teacher of Speech and Drama. 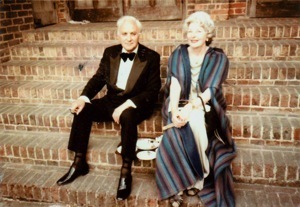 At the end of 1938 she met the 21 year old journalist Jack Lambert – it was love at first sight! His ambition was to become a theatre critic. Catherine left the Central School having passed the London University Diploma of Dramatic Art with teaching qualifications. She had been awarded the ‘Sylvia Strutt Memorial Prize’ for Verse speaking and a gold medal for acting. 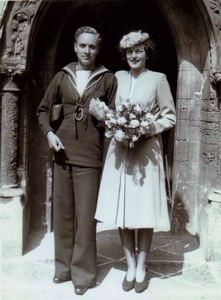 A month later she married Ordinary Seaman Jack Lambert RNVR in the Lady Chapel of Llandaff Cathedral. Catherine had acted several leading roles with the amateur theatre company ‘The Croydon Players’, the last was ‘St Joan’ in Bernard Shaw’s play ‘St Joan’. She decided to give up acting and give all her time to Jack and their children, Christopher, Caroline and Deborah. Jack was now Assistant Literary Editor of ‘The Sunday Times’ newspaper. He had always loved singing and was now taking lessons with the Baritone Bruce Boyce. After her mother’s death, Catherine was given her father’s repertoire of English, German, French and Italian songs and she accompanied Jack on the piano (wishing she could play like her mother) as together they explored the collection, and tried to perform their favourites. Recommended by the Central School of Speech and Drama as it was now known, Catherine started to take speech classes at the Opera School of the Royal College of Music. She was to stay for 15 years. She was at this time the Director of Drama at the ‘London College of Dance and Drama’, and working as the Vocal Coach in ‘The British Theatre association’, which ran courses for actors and producers from all over the world. When she discovered how much she enjoyed working with singers, she resigned from the posts. Opera students were in the School for two years and averaged ten in each group. Everything was sung in English so that they could understand the text. Catherine was able to convince the singing teachers, like Ruth Packer and Meriel St Clair, that what she was doing in the speech classes would benefit the diction in singing of their students. They began sending their non-opera students to her for help with breathing and articulation. Each term there was a workshop which included scenes from operas and plays. It had to be presented by one student in front of the stage curtains. Catherine insisted on this presentation reaching professional standards. The opera producers Dennis Arundell, and then Douglas Craig, welcomed Catherine to sit in at rehearsals and give notes. The Drama Producer Joyce Wodeman also asked her advice on vocal clarity, and how to project to the back of the Parry Theatre. 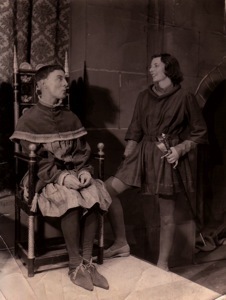 The aim of the School was to give the students a knowledge of style in the deportment, manner and costume of various periods from Mozart to Britten in the background history of what was being performed. There was no so-called modernisation, except in a memorable production of Humperdinck’s ‘Hansel and Gretel’ when a tenor playing the Witch whizzed about the stage in roller skates! Catherine introduced a method of teaching in which she worked with two or three students in half hour periods, and she was allowed extra time for individual coaching. She has kept the Register in which she put ticks for attendance, and it shows that the students appreciated her work. It was a very happy experience for her to learn from talented colleagues, help students blossom, and listen to the student orchestras gain confidence under the skillful baton of the School’s Maestro, Richard Austin. 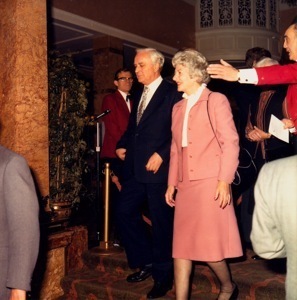 Jack and Catherine Lambert are being announced in the Savoy Hotel for a luncheon given by ‘The Evening Standard’ newspaper to celebrate the 25th anniversary of Agatha Christie’s play ‘The Mouse-trap’. Jack was now the Literary and Arts Editor of ‘The Sunday Times’ and Chairman of the Arts Council Drama Panel. 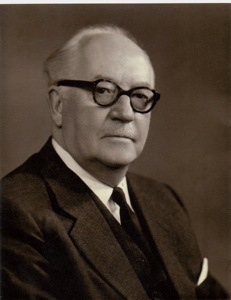 He was writing and broadcasting as J.W.Lambert on the theatre, books, opera and English Song. He and Catherine were going annually to all major new productions of plays and operas in London, Stratford-upon-Avon, Chichester, Glyndebourne, Aldeburgh, Edinburgh and Wexford. This background was of immense help to Catherine in her work at the Opera School. Jack and Catherine are celebrating their 40th wedding anniversary at Glyndebourne – it is the long interval in a joyous production of Verdi’s ‘Falstaff’. Catherine retired from the Opera School in 1979. She had been awarded the Hon. R.C.M. 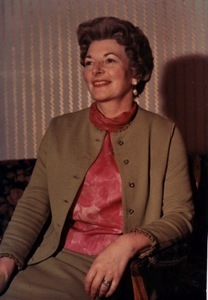 In 1981 Catherine became the then annually elected president of the Association of English Singers and Speakers and the founder of its prestigious English Song Prize. Catherine went on to research and give talks in libraries, luncheon clubs and London’s National Portrait Gallery on the Victorian Actress Ellen Terry and “The Swedish Nightingale” Jenny Lind. Reproduced by kind permission of Catherine Lambert, Janis Kelly and Norbert Meyn.